At the rate Quintez Smith is going, he may not find enough space in Dublin, Georgia for all of his awards and postseason honors. The cornerback for Shaw University was named to the D2Football.com All-America Team, which honors NCAA Division II players. 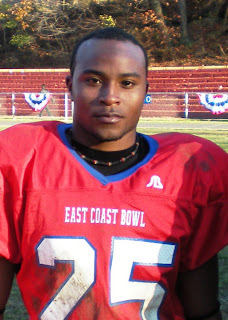 Smith made first team and was the only player from an HBCU to do so. Smith was also honored by the 100% Wrong Club, an Atlanta-based non-profit organization that has been honoring athletes from historically black colleges and universities since 1934. The group will honor its selections during its celebration weekend Feb. 5-6. Among Smith's other accomplishments, he played in three all-star games -- the HBCU Bowl, East Coast Bowl and the Cactus Bowl. He was named to the SBN Black College All-America Team, as well as the BASN HBCU All-America Team, both of which honor black college athletes from Division I and II HBCUs. He also earned inclusion on the American Football Coaches Association 1st Team All-America squad. Smith set one Division II record and tied two more this season. He set the single-game record for most return yards after interceptions with 194 against Elizabeth City State. He tied the record for most interceptions returned for touchdowns in a game with three against Fayetteville State. He also matched the most interceptions returned for scores in a season with four. Three cities, three teams, three jersey numbers. That's the tally of Erik Walden's two years in the NFL. The former MTSU standout defensive end/linebacker just finished his second NFL season with the Miami Dolphins.The nomadic Walden hopes south Florida is his home, at least for a while. "You always hope you don't have to move around, but it happens quite often in this league," Walden said. "I hope I don't have to do that much more. I want to find a place that I can call home." Walden has had to adjust at the next level. After setting single-season and career records in sacks as an MTSU defensive end from 2004-07, Walden switched to outside linebacker in a 3-4 scheme after being drafted by the Dallas Cowboys in the sixth round — becoming the first Blue Raider drafted since Tyrone Calico in 2003. Walden was cut by the Cowboys before the 2008 regular season and claimed off waivers by the Kansas City Chiefs. He played nine games with the Chiefs before being released and playing the final six games of the 2008 season with the Dolphins. He played 11 games with the Dolphins in 2009. Walden has taken his numerous NFL moves in stride. "You're never ready to move like that, but I'm glad it happened early in my career," Walden said. "It's going to probably happen anyway. You're going to have to change teams, but it would hurt worse later in my career if I've been somewhere for a long time. "If it's going to happen, better that it happen now than later. Hopefully, I can find a home, though." Walden, a Dublin, Ga. native, said he has not tried to grow roots anywhere until his NFL status gains a better footing. He has spent the last two years living in various apartments and hotels as temporary homes, including a mere three-month stay in Kansas City. "I didn't really want to buy anything since I didn't know where I was going to be, but that's just part of it," Walden said. "At first, (changing teams) bothered me. But when I thought about it, I decided that I was not going to let an incident like that affect me. I just had to keep on working hard, and that's what I am doing." In all three of his NFL stops, Walden, a 6-foot-2, 250-pounder, has spent most of his time on special teams, where he rarely played at MTSU. But MTSU coach Rick Stockstill said Walden must make his mark there. "Each NFL team is so different, and there's always someone there to replace you," Stockstill said. "Early in his career, Erik has got to be a warrior on special teams. He can run and he's been in there for special teams and some situational things on defense. He's got to do things on special teams. If he keeps his nose clean and works hard, he's got a chance." Walden was listed as a third-string outside linebacker behind Joey Porter and Charlie Anderson this past season. Walden said his ultimate goal is to start on defense in the NFL, but he's willing to cut his teeth on special teams. "This year and last year, I mostly did special teams," Walden said. "But I'm an athlete, so I should be able to adjust to that. That's my job right now, so I'm going to work really hard at it." Walden recorded 10 special teams tackles with the Chiefs, second-most on the team, and five more with the Dolphins in the 2008 season. 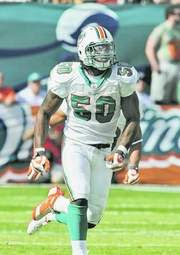 In 2009, he had eight tackles in 11 games with Miami. He was declared injured or inactive in five games. The Dolphins' season ended a week ago with a 7-9 record. Walden said he hopes to return to Miami next season. "It's a year-to-year thing in this league, and I know that," Walden said. "I'm looking forward to having a long NFL career, but all I can do is work hard. I can't worry about what I can't control, so I'm not going to worry. I will just keep working, but I feel pretty good about things so far." April 2008: Drafted by Cowboys in 6th Rd. as you get a chance, go out an find one. They aren't that hard to find. Don't just talk to them. Listen and listen intently. Oh, by the way, take detailed notes. At the relatively old age of thirty-four, Loryea Boyd served his country in the Pacific during World War II. As a member of the Quartermaster Corps, Boyd drove a jeep carrying messages and working as a mail clerk in India. At the end of the war in Europe, Boyd was preparing to leave for the inevitable invasion of Japan. But along the way, he met his brother. The Boyd boys had a marvelous reunion and visited the sites around Calais, France. Loryea, or "L.L." as his friends call him, left Europe on this thirty sixth birthday bound for Camp Kilmer, New Jersey before virtually coming home to Augusta. During his years in the service, L.L. Boyd circumnavigated the globe. When L.L. Boyd was born, William Howard Taft was the President of the United States. Since then, Boyd has lived under the administrations of seventeen presidents. His favorites are Franklin D. Roosevelt, John F. Kennedy and Lyndon B. Johnson. Roosevelt's fireside chats are still vivid in his ninety-eight year old mind. He thinks not very highly of Herbert Hoover. It was during the "Hoover Days" when Boyd and his neighbors lived in hard times. But he remembers, "I lived on a farm, but we didn't need anything. We had plenty to eat and never sought any relief." It is indeed amazing how so many nonagenarians remember ancient things in details we youngsters can't remember from yesterday. Like the time L.L. needed a truck. He and his brother bought it from their uncle and took up the payments on a 1929 Chevrolet truck. Boyd remembers to the penny the $190.00 he spent on his 1931 Ford. It was about then when L.L. graduated from Wofford College in his home state. He did a little work on the vehicle before trading it in for a brand new '33 Plymouth and its spoked wheels. To help pay for these vehicles, Mr. Boyd kept a grocery store and a gristmill before going into the insurance business. With a good job in hand, Boyd married Lila Sheppard of Tampa in a marriage which lasted sixty five years. Loryea L. Boyd's secret to a good life are having a good family, not drinking and not smoking. He does have some vices, chocolate - chocolate pie, chocolate cake and chocolate ice cream. When a piece of red velvet cake is put in front of him, few, if any, crumbs are left. Among his heroes are Lou Gehrig and Strom Thurmond. But, just ask him. I think he is more proud of his sons, Larry and Edward. His pride in his sons is reflected in their pride in their dad. "I have never known him to do anything except what is considered the right thing. He taught us by example, not words," said Edward. Though Edward was sparingly used as a substitute in high school sports, his father was there at every game and never complained to the coaches, not once. When his granddaughter graduated from college two years ago, her 96-year-old grandfather insisted on buying her a class ring out of his limited income. of the club and remained active, even when the club's membership dwindled down to three. Lion Boyd was there on the first day of the Allendale, S.C. Lions Club and fifty years or more as president. He sold light bulbs, brooms and candy on the streets and in homes to raise money for Lions Club projects. Several times Lion Boyd accepted the role as club president and was elected by his peers as Lion of the Year. As a member of the Allendale Masonic Lodge, L.L. Boyd earned he way up the all degrees of the Masonic brotherhood, only to be forced into retirement when he moved to Georgia. For more than twenty five years, Boyd worked to attract doctors to practice in rural Allendale County. When he wasn't doing any of the above, L.L. 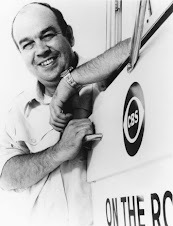 Boyd worked for the County Heart and Cancer Associations. By the way, he also served on the school board and town council. At the age of ninety eight, L. L. Boyd considers every day a gift and so does his son Larry, who has his Daddy here for one more day. Mr. Boyd will be the first to tell you all about his life, but he will also be the first one to tell you that he is not a special person and did nothing outstanding. He doesn't toot his own horn. All the things he did, whether for his family or for his community, he did out of love without questions, without complaints and without a moment of selfishness. During this American History month, let us salute L.L. Boyd and the many folks like him, who serve their community with their time, expertise and devotion, often with little or no pay - monetary that is - just for the love of his fellow man. And, in the end, that is what we as Americans should all be about.